10" to 14" seat width. Height adjustable armrests with solid black arm pads. 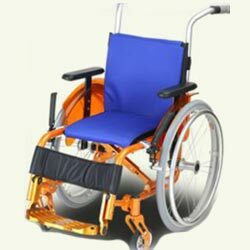 Fixed leg rest, with aluminum anodized and seat adjustable footplates. 4" black solid front castors optional 5" available.